Quidditch is graced with players hailing from a variety of different sport backgrounds from football to soccer and everything else in between. Not only is there representation from a wide range of sports, but aspiring players can also come in at completely different levels from those with previous sports experience to those sometimes simply coming in with no sports background whatsoever. Assimilating non-athletes or players from a very limited sports background onto a team can be challenging, but it also provides an interesting opportunity for a team to grow in unexpected yet very beneficial ways. One of the most common questions asked among players in the quidditch community is: “What sport did you play before quidditch?” People are always interested to see if someone else comes from the same background as they did, and how their quidditch play style has been adapted from their experience with other sports. A lot of people have an origin with some sport, but the people who answer that question with, “I didn’t seriously play a sport before quidditch” get to be the first original quidditch players. Previous athletes are hindered in some ways by their prior sports experiences because they are always going to be looking for ways to apply their current knowledge from sports into quidditch instead of starting with a blank slate. The idea of a blank slate with non-athletes or players with a very limited sports background is where huge potential lies because that means they have no ingrained habits from other sports that may translate poorly to quidditch. They have nothing to base how they should play off of other than their experiences with quidditch from practice to practice and game to game. A large number of captains or coaches can sometimes dismiss this potential by focusing their efforts on developing a strategy around their established athletes and only playing their other players in the second or third string or when the team is way ahead in points. In a lot of ways, that strategy can be easier, but who ever said easier was best? Quidditch is growing fast and in the past year alone there has been a significant increase in the skill level of teams across the country. Everyone is trying to find different ways to get ahead of their competition because nowadays games are getting much closer and middle tier teams are starting to creep into that top tier, threatening previous powerhouses. Putting a larger focus on building up your program’s less-established athletes is way to help put your team ahead of the competition. All players deserve respect, regardless of their background, and it is a two-way street where players and coaches with ample sports experiences need to appreciate the value that those less proficient in athletics can bring to the team and vice versa. A player that feels like they aren’t contributing to a team’s success will generally become frustrated and apathetic and will most likely stop putting in effort at practice or games. Just one apathetic player can bring down an entire team. That is why an atmosphere for practices and games must be created where every player understands their purpose, value and potential on the team. A good way to accomplish this is through encouragement of open communication. Allow all players to voice concerns or make suggestions and discourage other players from putting down someone else’s ideas. This will also help non-athletes feel like their input matters just as much as any other player’s comments. There is no such thing as quidditch experts right now, as the majority of veteran players that serve as captains or coaches have only around three to four years of experience under their belt. Every other sport out there has coaches with decades of experience in a lot of cases. Since we don’t have that type of experience, the more input every player has on a team the better. Non-athletes have the ability to provide very beneficial input and ask questions that athletes would never think of because they are constricted by their previous knowledge of traditional sports. They can look at situations and strategies with a fresh eye and bring in a different perspective. This also means that they will think differently in practice drills and scrimmages which can throw a wrench in many seemingly perfect plays that are accomplished with the assumption of how another athlete would think. Athletes don’t always know what a non-athlete is thinking on the field, so these situations encourage in-game spontaneity to adjust plays quickly and to not fall into easily penetrable routines. Quidditch players are all adults, so no one wants to be babied or talked down to. Many non-athletes are already going to come in and immediately feel like a foreigner on a field of established athletes, so ensure with your tone and body language not to alienate them further. An analogous situation to this would be teaching a foreign language. Picture how someone would talk to and teach a five year old a new language and then picture how someone would do that with an eighteen year old. The curriculum and concepts will all be similar but your tone and attitude should be vastly different. When teaching or explaining new things to these players, start with the absolute basics and build from there patiently, so you avoid overwhelming them with more information than they can retain in one practice. The basics can be broken down into two categories: physical skills and mental skills. For physical skills, a few examples of starting practice points would be: proper technique of throwing and catching, development of speed and agility, and how to properly fall from a hit or a tackle. As for mental skills, the basics pretty much consistent of explaining certain on field terminology such as “man on” or “no beaters” and explaining a position’s role on offense or defense. We have to walk before we can run and crawl before we can walk. A lot of players want to jump in and start scrimmaging and simply figure things out through playing. While that can be beneficial, the improvements of a player’s skills will come at a much slower pace as opposed to if they spend their time developing different sets of individual skills through practice drills. After the basics have been learned, you can start focusing on more complex drills that isolate different situations that might occur in a game. Make sure to explain the application of each drill so players understand how it will help them. Understanding drills is almost as important as going through them, because it supports an interconnected relationship between the physical and mental aspects of the sport, which is especially important for non-athletes to learn because they don’t have the same grasp on overall game strategy as athletes do. For example, you want to teach players to not only know how to throw a bludger but also when to throw it. Also, use the time in these drills to talk a lot and go over why certain rounds go over better than others and describe how players should adjust what they do if certain changes are made in the situation. 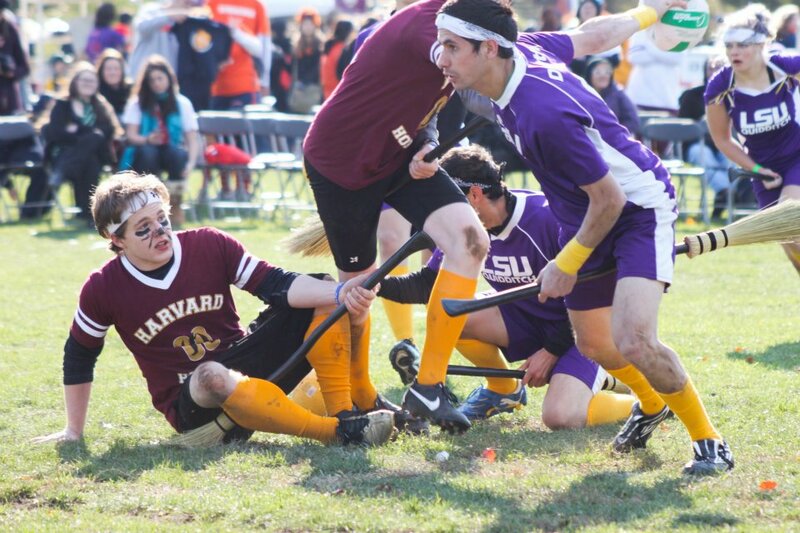 Quidditch games can be extremely hectic, so new players and non-athletes can easily get overwhelmed when they step on a field and have no idea what to do. These drills help them gain a clearer head and confidence in that regard by developing instincts that will make them simply react without overthinking every situation in a game. While this is singling out non-athletes and describing guidelines for helping them specifically grow as players, it is not intended that they be treated significantly different from the other players on the team. They joined the team same as every other player and want equal treatment, equal opportunity to play, equal conditioning, etc. They realize they have a steep hill to climb to get to get to the level of some of the other players, but if you believe in them and help them then they will get there. It may seem a bit contradictory to say “treat all players equally” when this article is inherently about differences in training athletes and non-athletes, but the meaning is that you should treat everyone with the same amount of respect. If any player, athlete or non-athlete, asks for some help then as a captain or coach, you should help them to the best of your ability. Usually, non-athletes are going to be the ones seeking help more often, so everything here is a guide on how to help them without either of you getting overly frustrated at each other due to a lack of understanding. Ultimately, all these guidelines will only be successful if the players genuinely want to be taught. If a player learns best by figuring things out on their own, then you have to let them. The trick is to learn about your players and figure out which ones appreciate unsolicited advice and help and which ones don’t, and when you identify the latter, don’t continue to offer help until they come to you. If a player is constantly refusing help and also underperforming in games, you may have to employ a little tough love and bench them. Explain the situation to them and how they will get more play time if they utilize the resources available to them. In comparison, if your professor gives you tons of notes and books to read to help you study for an exam but you choose to only focus on the final study guide, then you have no one to blame but yourself if you fail. When they see the people around them getting A’s, or in this case succeeding on the pitch from taking advantage of the resources given to them, then those players will be singing a different tune by the time the next practice rolls around. The great thing about all these tips and suggestions is that they can really apply to pretty much anyone wanting to learn and grow as a quidditch player who needs extra guidance or a little push in the right direction. A team is only as good as its weakest link, so it’s in the team’s best interest to have all its players playing up to their full potential. Players with limited experience or non-athletes have huge untapped potential that even they might not even realize. Jason is currently in his third year competing with top-ranked LSU, where he has evolved into a key play maker and leader for the team. He has played every position and excelled at them all, making him a very dangerous utility player. Watching him play now, you would never know that he did not play for a sports team previously, as his athletic experience consists only of pick-up basketball, some marathon training, and competitive video gaming. His interesting background, especially the video gaming, has helped him take an unconventional approach to developing his skills and different strategies. Jason believes a huge benefit of him not having any experience on a formal sports team is that he knows how to motivate himself without having to be constantly coached. His individual motivation and drive has come from wanting to be better than a specific player which has pushed him to constantly redefine his limits and improve his skills. As a coach, he has found that he can generally come up with successful drills from scratch to specifically apply to the type of competition they are facing, as opposed to just adapting drills from other sports. This outlook for creating drills is great because it allows LSU to exploit its strengths instead of duplicating drills from other teams that might not be relevant to their style. This type of thinking is a perfect example of how players with limited sports experience before quidditch can bring in unique ideas that can help make their team extremely successful. Sarah competes for Maryland, another powerhouse team. Many people in our community know Sarah as a dedicated IQA volunteer, the managing editor for The Eighth Man, a beater, and team president. But what most people probably don’t know, is that Sarah has almost no sports experience prior to quidditch. She used to be involved in dance and had a short-lived career in lacrosse that lasted only a year in middle school, but that is it. 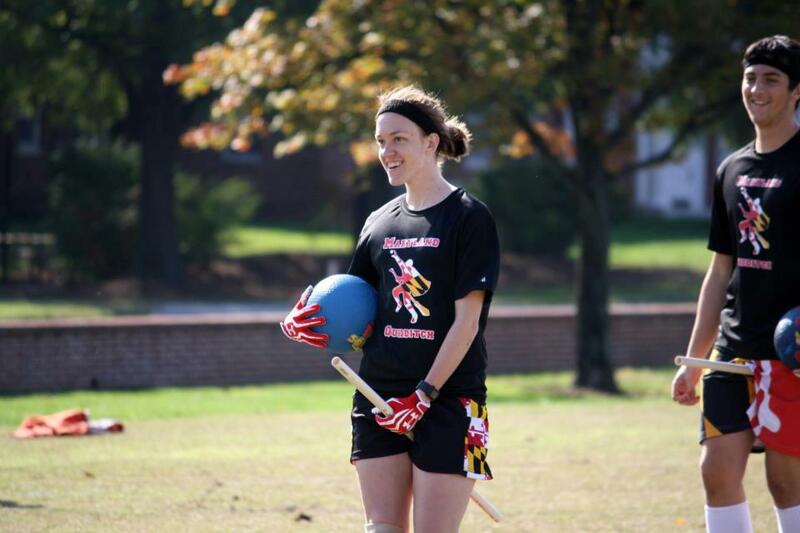 She has been with Maryland since March 2010, just after the team first formed, and she has persevered with the drive, hard work and dedication that have propelled her to become a top player and starter on her team.